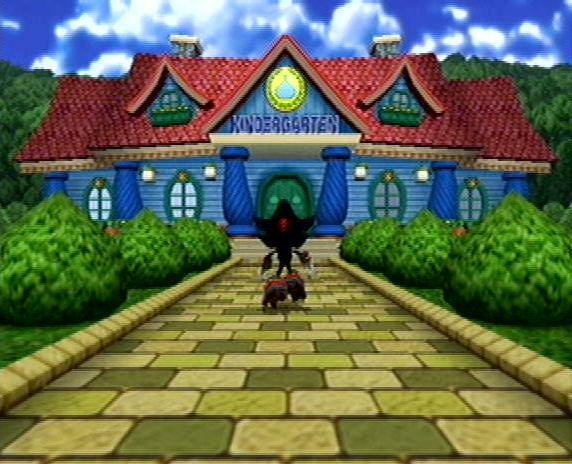 Welcome to the chao kindergarden! The kindergarden is the school for chao. You can take chao to a class, get advice from the principal, and even the chao doctor is there to give your chao a check up at any time! It time to take you chao to school, chao love to learn new things. Bring your chao here and he will learn many lessons. I will list the lessons below. Each class takes approximately 30 minutes. The chao doctor will give your chao a check up and will give your chao medicine if it falls ill. He is always ready for a chao emergency! WARNING* If your chao has reincarated do not take it to the chao doctor. There is a glitch in the game that my erase your chao if you take it to see the chao doctor. The Principal is always happy to help you out. Come here to get some advice on raising chao. He will give you many tips on raising your chao but the Principal still doesn't know all the secrets about the little creatures!